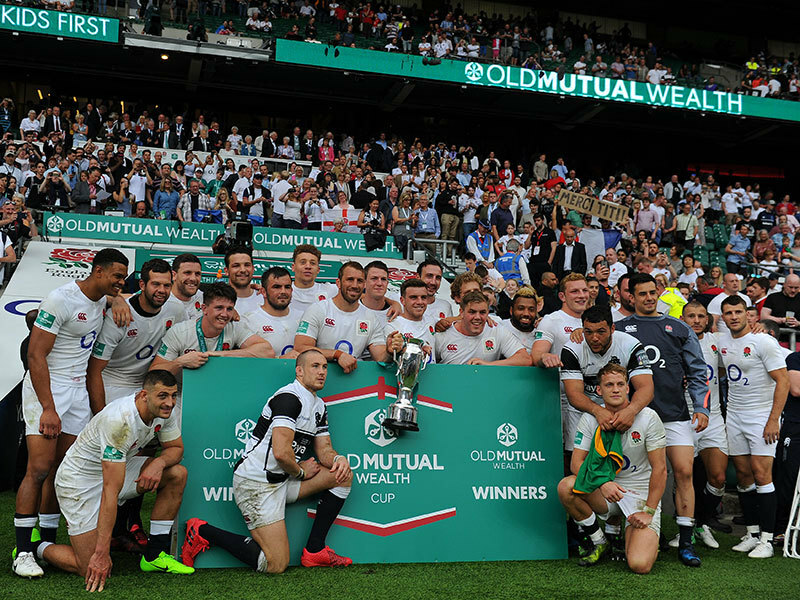 REPORT: GEORGE FORD CONTRIBUTED 13 POINTS AS ENGLAND WARMED UP FOR THEIR TWO-TEST TOUR OF ARGENTINA WITH A HARD FOUGHT 28-14 VICTORY OVER THE BARBARIANS IN A NON-CAP MATCH AT TWICKENHAM ON SUNDAY. However, while the crowd were entertained with five tries in the game England head coach will be more concerned by the fitness of Alex Lozowski and Sam Underhill, who both went off with what appeared to be shoulder injuries in the first half. England - missing several key players who are preparing for the daunting tour of New Zealand with the British and Irish Lions - snaffled three of the quintet of tries. Two of them came from European champions Saracens duo Nathan Earle and Nick Isiekwe whilst experienced scrumhalf Danny Care got the other one. Both the Barbarians tries came in the second-half as they stirred themselves, against an England side with eight new faces in the starting line-up, having gone in 0-13 down at the break. Australian great Adam Ashley-Cooper nabbed one of them with lock Joe Tekori scoring the other - Ireland flyhalf and former Bordeaux-Begles teammate of Ashley-Cooper's Ian Madigan converting both. Things might have been even tighter had the referee not ruled out New Zealander Jeremy Thrush's 50th minute touchdown and sin-binned BaaBaas prop Mikheil Nariashvili for a scrummaging infringement in the 55th minute. England: 15 Mike Brown, 14 Nathan Earle, 13 Sam James, 12 Alex Lozowski, 11 Jonny May, 10 George Ford (co-captain), 9 Danny Care, 8 Josh Beaumont, 7 Sam Underhill, 6 Chris Robshaw (co-captain), 5 Nick Isiekwe, 4 Charlie Ewels, 3 Will Collier, 2 Jack Singleton, 1 Ellis Genge. Replacements: 16 George McGuigan, 17 Ross Harrison, 18 Jamal Ford-Robinson, 19 Will Spencer, 20 Tom Curry, 21 Mark Wilson, 22 Richard Wigglesworth, 23 Mike Haley. Barbarians: 15 Alex Goode, 14 Timoci Nagusa, 13 Yann David, 12 Frans Steyn, 11 Adam Ashley-Cooper, 10 Ian Madigan, 9 Kahn Fotuali’i, 8 Facundo Isa, 7 Steffon Armitage, 6 Thierry Dusautoir (captain), 5 Jeremy Thrush, 4 Patricio Albacete, 3 Census Johnston, 2 Richard Hibbard, 1 Mikheil Nariashvili. Replacements: 16 Schalk Brits, 17 Chris King, 18 Willem Nel, 19 Joe Tekori, 20 Gillian Galan, 21 Ruan Pienaar, 22 Robbie Fruean, 23 Horacio Agulla.